Last edited by Mean_Go_Getter; 20th November 2018 at 14:34. 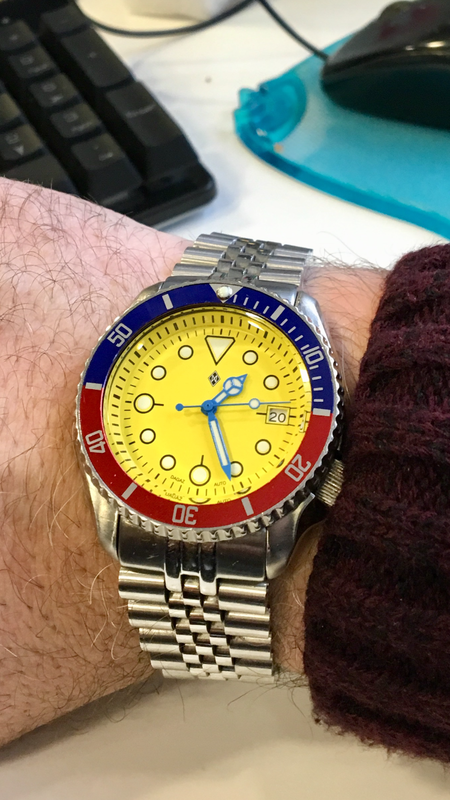 I do like a yellow dial, black hands would look better though. Just an SKXA35 with a pepsi bezel would be plenty.